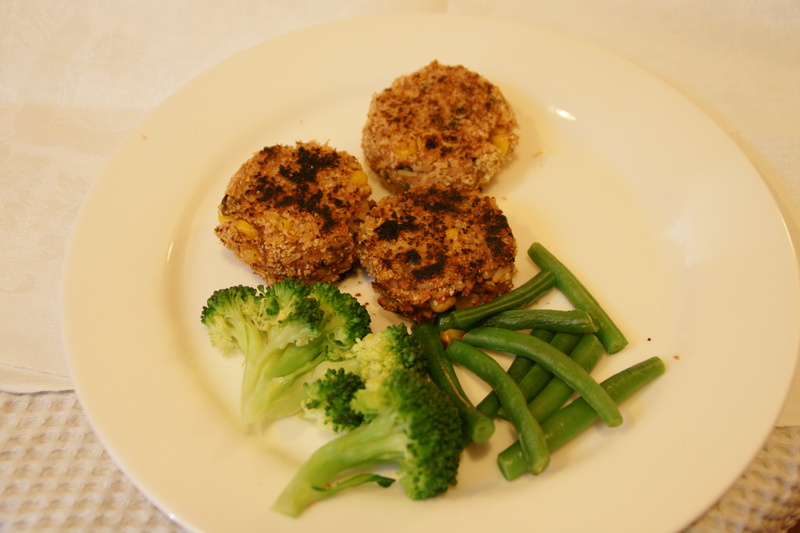 The Daring Cooks’ February 2012 Challenge – Flipping Frying Patties! I signed up for the Daring Cooks’ challenges months ago but I got confused about the reveal date then confused about how much time I actually had left over from family, working and running (not a lot, apparently) so this is my first active challenge. 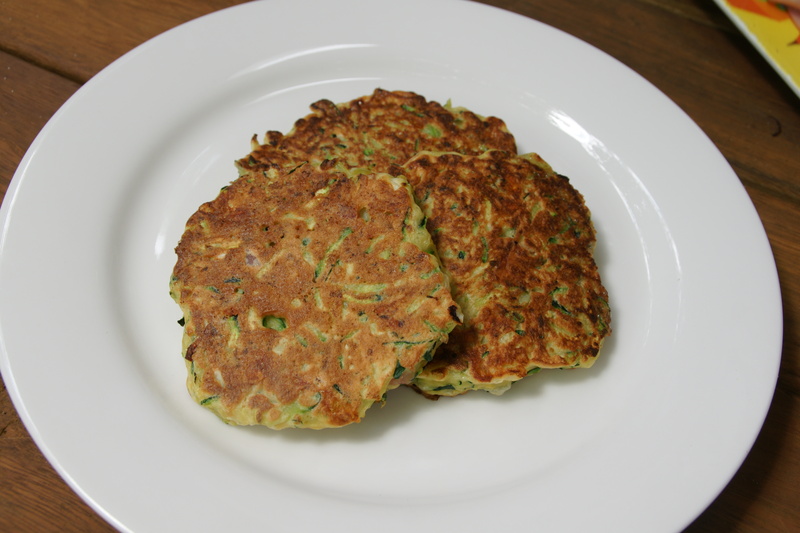 Happily, although I only ended up making 2 of the suggested recipes (and noting of course that there are millions out there to try), I happened to meet and fall in love with a zucchini fritter recipe, just in time for Valentines Day! The Daring Cooks’ February 2012 challenge was hosted by Audax and Lis and they chose to present Patties for their ease of construction, ingredients and deliciousness! We were given several recipes, and learned the different types of binders and cooking methods to produce our own tasty patties! I have, at times, been obsessed with vegetables patties. 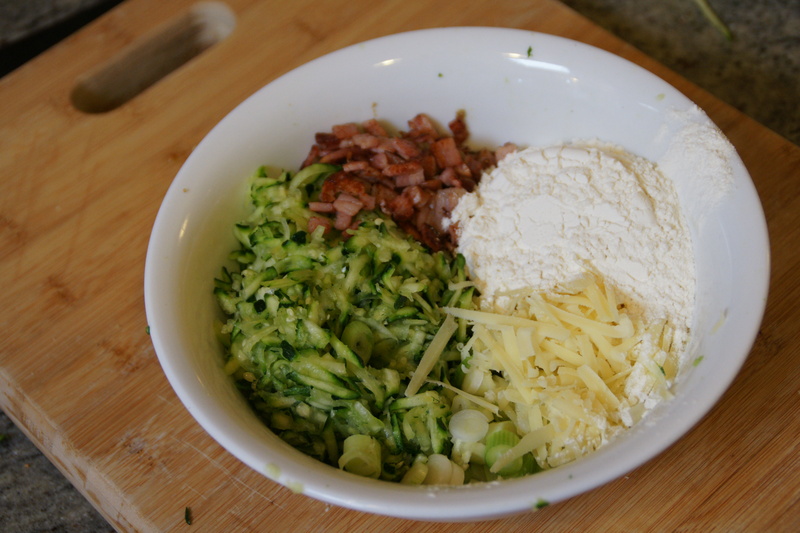 The cabbage pancake phase was one example. That was a special time. 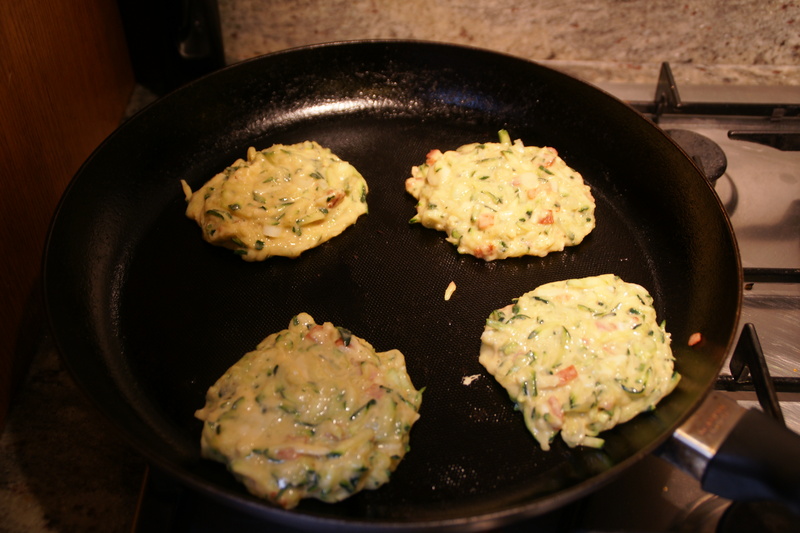 I’ve tried to make zucchini fritters on several occasions but they’ve never been very nice. UNTIL NOW! While waiting for the zucchini, pan fry the bacon pieces until cooked. Remove from pan. Return dried zucchini to bowl add bacon, cheese, pepper, sifted flour and baking powder, curry/chilli paste, pepper, a little salt and the lightly beaten eggs. It was a zucchini revelation. So, so tasty. I have already made them twice. I plan to make them many more times. It may have been because I didn’t have any spinach, or because I didn’t squish them hard enough, but I just couldn’t get them to stick together properly. I added more breadcrumbs, but then they were dry. Tasty, but not quite there. I will try this one again and try to make it properly but the zucchini is the clear winner for me. Miss B: why are you taking photos of your lunch Mummy? Take a photo of mine! Thanks Audax and Lis for the challenge! 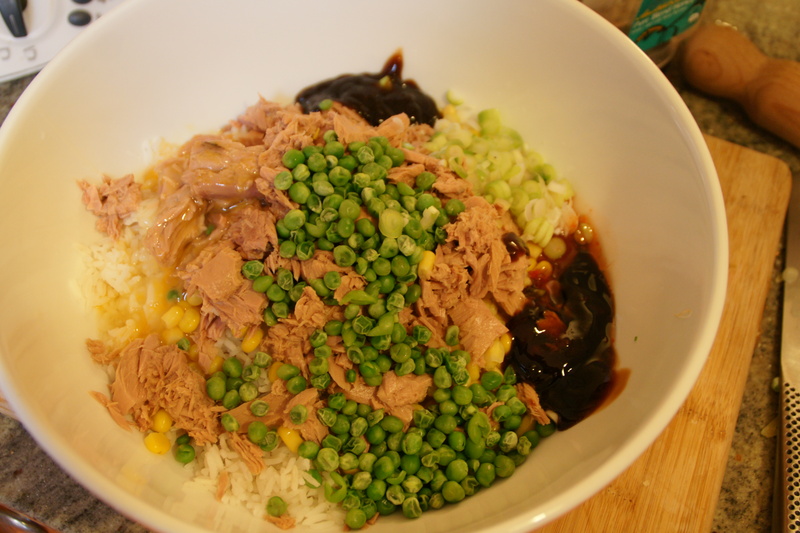 Nice job and welcome to the Daring Kitchen! I’m going to have to give Aud’s fish and rice patties a try. I’m so glad that liked this challenge (your first active challenge LOL) yes the zucchini fritters are lovely and yes do try the fish and rice patties again the spinach is important for moisture a wonderful result. Cheers from Audax in Sydney Australia.